I got an email the other day from a mom, whose son is brilliant. I assume he’s brilliant because he’s a freshman at the California Institute of Technology. The acceptance rate at Cal Tech is 13% and many of its student get near perfect SAT scores. This teenage boy applied to 21 schools (way overboard folks, no one should apply to that many) and he got into 15 highly selective schools. It was no surprise to me that the student received a great financial aid package. His mom, raising two sons on her own, earns a low income and needs a lot of help. Lucky for her, the son’s college costs are minimal even though this school costs more than $49,000 a year. The mom was thrilled with her son’s financial aid package at Cal Tech, but she’s worried about her next child. Her other son has a 2.9 or 3.0 GPA. She wonders what kind of financial aid he might get when he graduates from high school. Her concern serves to illustrates one of the realities of financial aid awards. Even though her youngest son will be just as financially needy when he applies to colleges as his older brother, it’s highly unlikely that schools will provide him with a great financial package. He may receive some need-based grants (money you don’t have to repay) from the schools he applies to, but his financial aid packages will also include loans. Many schools in this country practice what’s called preferential financial aid packaging. With this common practice, colleges reserve their best aid offers to the students they are excited about. These are typically the students with higher GPAs and test scores. Under this system, the kids with the lower academic profiles get the crumbs. So a student with a 2.9 or 3.0 GPA typically isn’t going to receive one of the best packages. Last spring the daughter of a friend of mine, who had a 2.9 or 3.0 GPA, received $12,600 ($50,400 total) from California Lutheran University. She had originally gotten a $9,100 annual merit award from the school, but the family was able to raise the amount by showing Cal Lutheran better annual awards from several other colleges including Linfield College ($13,700), Dominican University ($11,150) and Pacific Lutheran University ($10,678). I’ve heard from plenty of people who have done something similar. There are colleges in this country that meet 100% of the demonstrated need of each of their students. At these schools it doesn’t matter if you are the last kid accepted in the freshman class or the first. Everybody gets the same deal. So if the last teen accepted requires $40,000 in grants, for instance, that’s what he or she gets. About five dozen school in the country, including Cal Tech, fit into this category. The younger brother and most other teenagers, however, would have no chance at getting into these elite schools. If you’re interested in what schools provide these platinum-plated financial aid packages, I wrote a post for my college blog and the one I write for CBS MoneyWatch about the 62 schools that say they meet 100% of the financial need of their students. 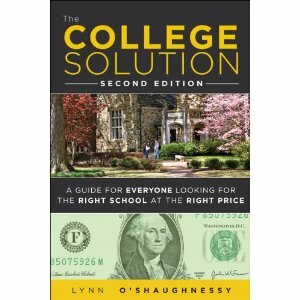 I want to thank everyone who has been preordering the second edition of The College Solution: A Guide for Everyone Looking for the Right School at the Right Price. As I write this, the book is the 6th most popular college book on Amazon. Thanks! Where Can You Find Cheaper College Prices? 7 Responses to What Kind of Financial Aid Can a 3.0 Student Get? Son #2 received a tremendous financial aid package from his first choice college–a small, private, liberal arts college with a very good reputation. It is a perfect fit for him, and he is thrilled! Me, too! Congratulations. I love to hear happy endings like that. Now I suggest you buy your son a copy of The Thinking Student’s Guide to College. It’s a great book for new college students. This morning I was reading something on the IECA blog that spoke about the tax laws changing in 2013 to start taxing scholarships. Do you know anything about this? No Carita, I haven’t heard anything about that. I would like to find out what the facts are though. I work for a tax large preparations company. The only “change” that we have heard is that student loan interest will not be deductible in the tax year it is paid starting tax year 2013 unless congress changes the current sun setting laws.